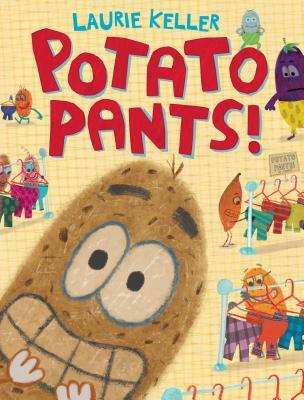 A potato and his eggplant nemesis struggle to find the perfect pants in this hilarious, heartwarming tale of forgiveness by bestselling Geisel-Award winning creator Laurie Keller. Potato is excited because today—for one day only— Lance Vance’s Fancy Pants Store is selling . . .POTATO PANTS! Potato rushes over early, but just as he’s about to walk in, something makes him stop. What could it be? Find out in this one-of-a-kind story about misunderstandings and forgiveness, and—of course—Potato Pants!